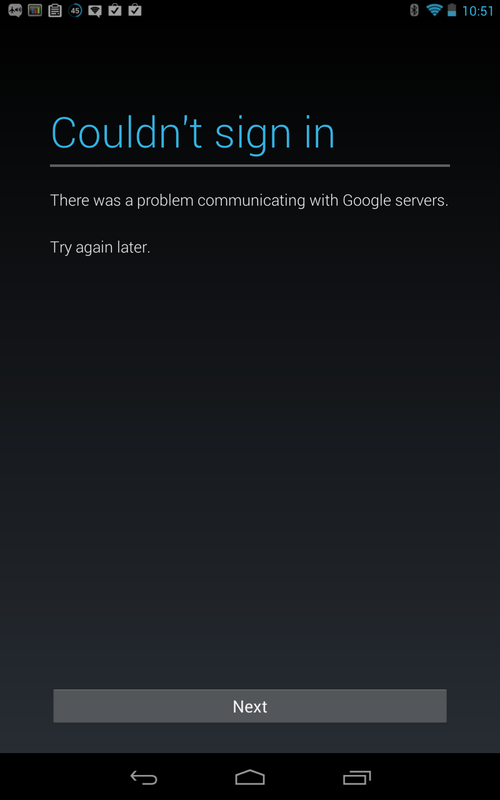 Many users - myself, Artem, and several other AP team members included - got an error just a bit ago stating that "There is a problem communicating with Google servers," but this issue seems to only be affecting Jelly Bean devices. 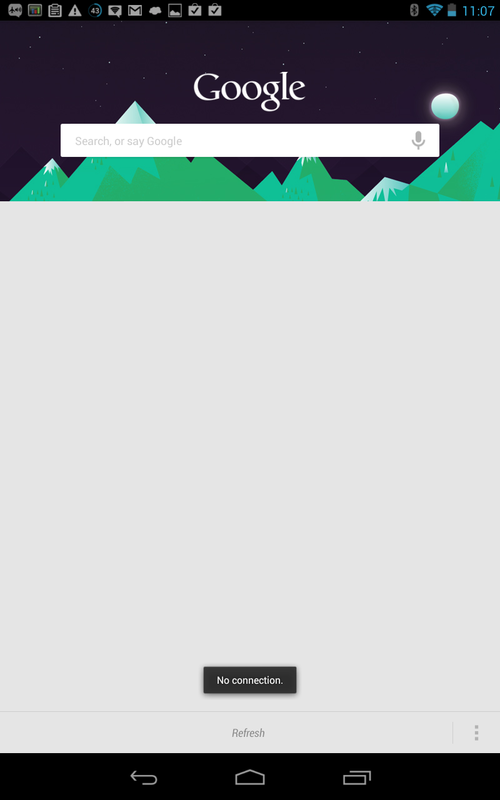 Makes perfect sense, too - looks like Google Now is the only thing currently down, as Talk, Drive, GMail, Calendar, Movies, Music, Magazines, Books, Maps, the Play Store, and pretty much all other Google Services are currently fully functional. 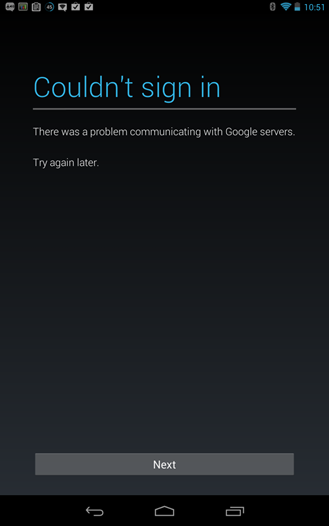 If you've flashed Now onto your ICS device, you should be experiencing this error, as well. 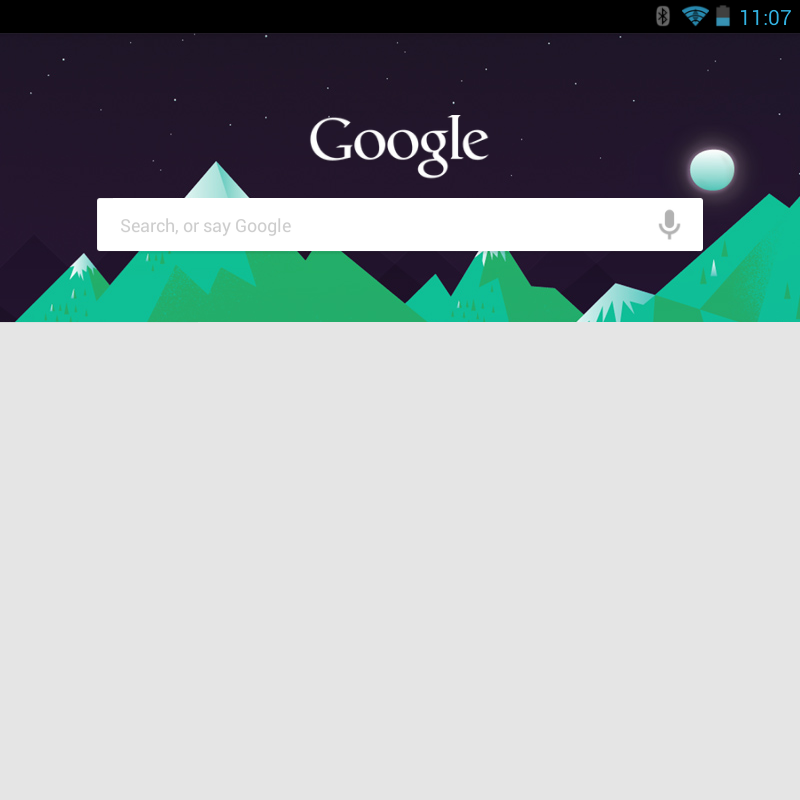 Update: It looks like Google Now is back. Several AP members are reporting that the sign in error is gone and Now is back up and running. What about you? Everything back to normal for you yet? What does this mean? Maybe Google is upgrading Now. Maybe it's just a fluke. Hard to say, really. But as soon as we know, so will you.